Know how to use the shifts and schedule planner. 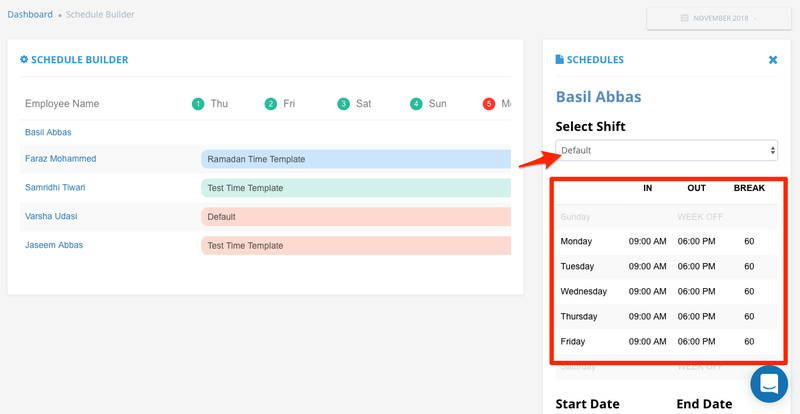 You can schedule time templates for users using the schedule planner. 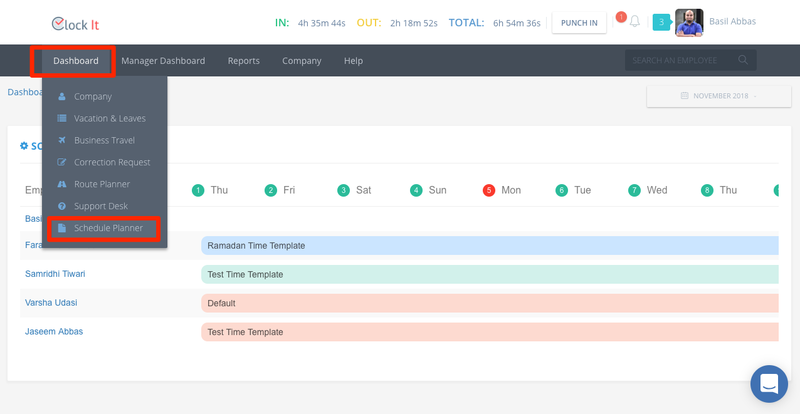 The schedule planner is available for the entire company or just for the manager and his/her team. 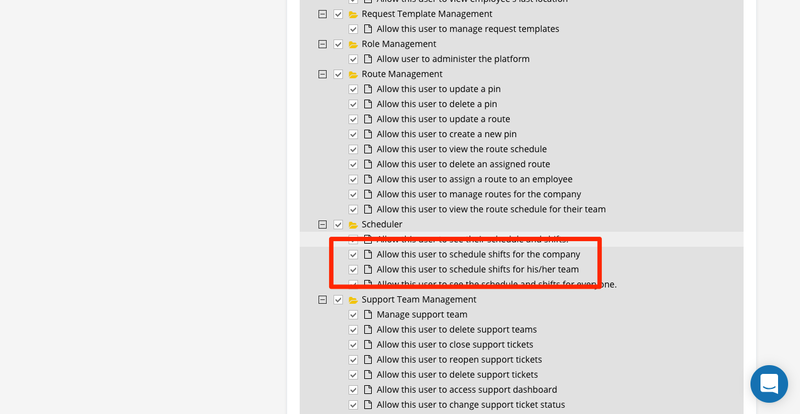 To see the schedule planner for the entire company go to Dashboard > Schedule Planner. You will need to have the following permissions if you need to access these features. 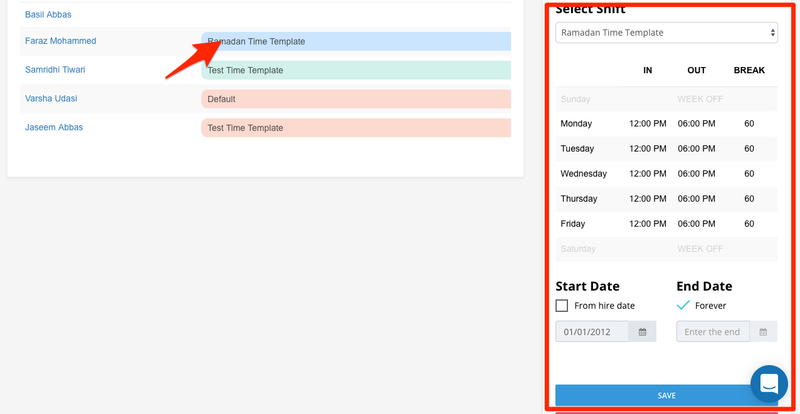 In order to use the scheduler you will need to have time templates defined. 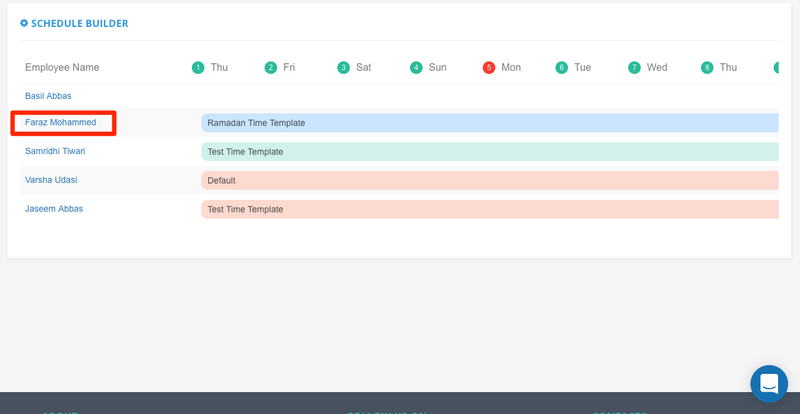 With the scheduler you will be assigning the time template to users on a calendar. 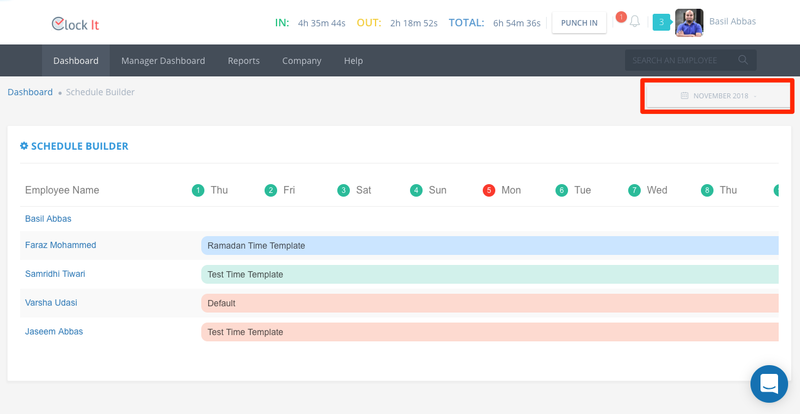 Know more about time templates. Select the month from top right to load the calendar. 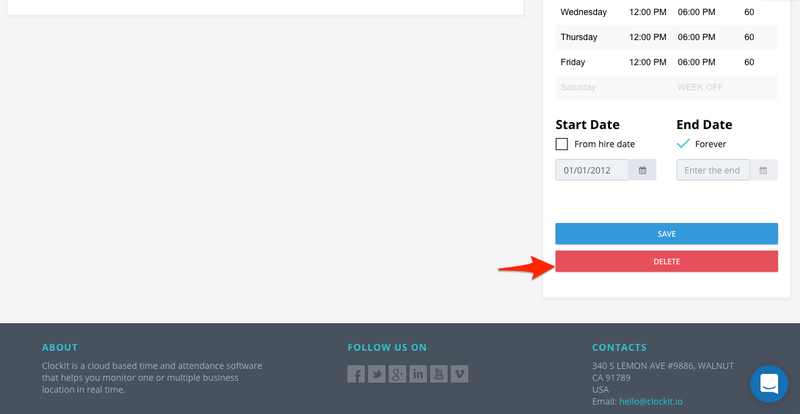 To schedule a user click on the date and fill in the details on the left pane. NOTE: To view the rest of the days use the keyboard left and right arrow keys to move the calendar. From the dropdown select the template, you will see the preview of the template below. Next, select the start and end dates. 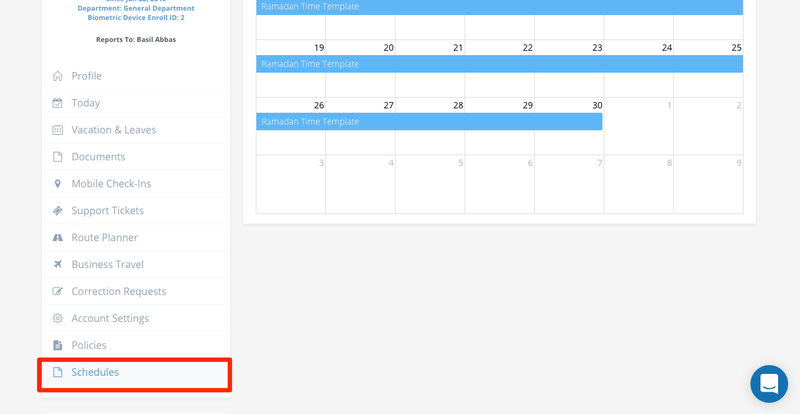 If need to assign the template from the date of hire, select From Hire Date. 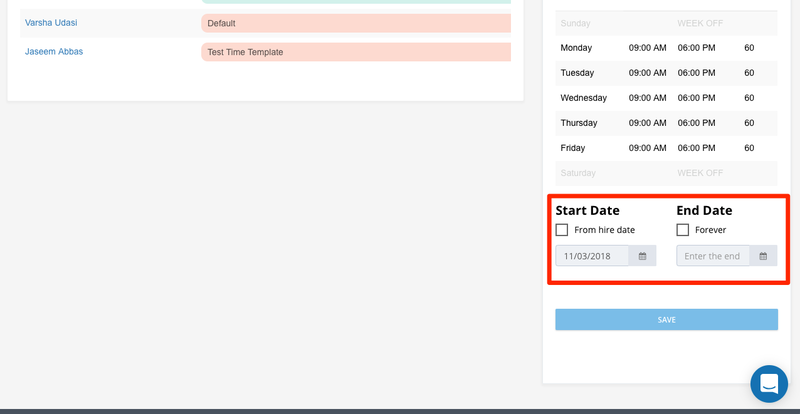 If you need to assign the time template forever, click on Forever in the End Date. You can always come back and change these settings. Once done click on Save. Note: Time templates cannot overlap. This means two time templates that have the shift end overlapping with the shift start cannot be saved. For example, you cannot have a time template with shift end at 6:00AM overlap with a time template that has a shift start at 4:00AM. To edit or delete a schedule click on the schedule and make changes on the right pane. To see the complete schedule monthly for a user. Click on their name and go to schedules. 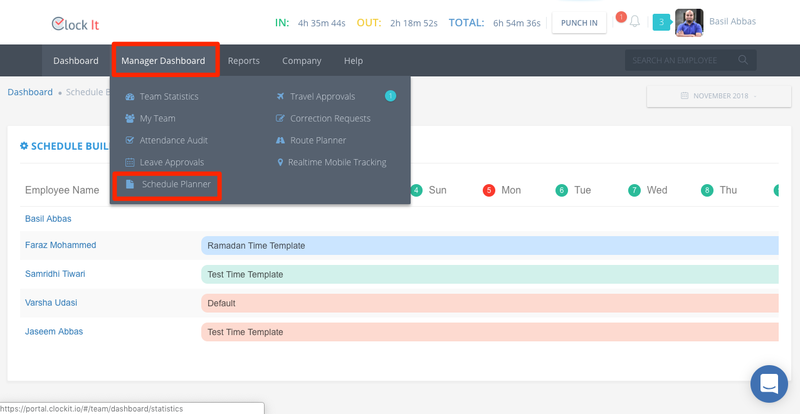 The employee can also see the schedule form the ClockIt mobile apps on iOS and Android. 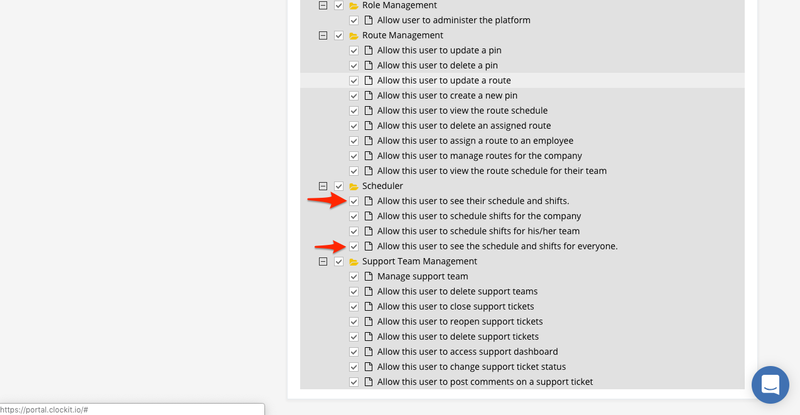 Note: For the employees to see their schedule, you wold need give them these permissions.